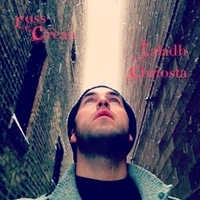 Singer-Songwriter Ross Crean brings us a new Celtic holiday single in Gaelic. Drones, melodica, and Crean's soothing Baritone make this an ideal Christmas song for those Celtophiles. Cha 'n fhiu mi fein bhi 'd dhail. Mo ghaol an t-sùil a sheallas tlath! Mo ghaol an chridhe tha liont’ le gràdh! Is lìonmhor buaidh tha ort a’ fàs. Cinnteach 's Righ nan Righrean thu. Air Rioghachd Dhé nan gràs. I'm not worthy of being near You. My love whose eye has tender gaze! My love whose heart is full of love! The King of Kings are You. Of the Kingdom of God of the graces.